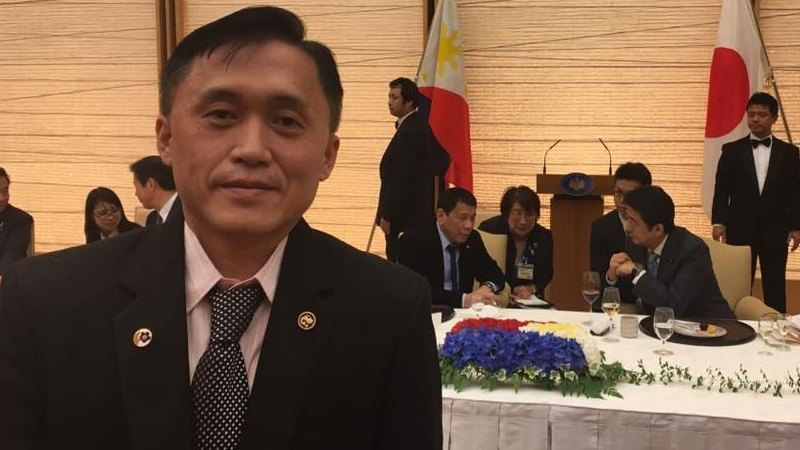 DAVAO CITY -- Special Assistant to the President (SAP) Christopher Lawrence "Bong" Go on Friday denied accepting an invitation to be a sponsor at the wedding of Bai Nor Aila Kristina Ampatuan, daughter of detained former Governor Zaldy Ampatuan, who is one of the principal suspects in the 2009 Maguindanao massacre. In a media interview, Go said neither he nor his office received a printed invitation stating that he will be a principal sponsor to the said wedding. “Hindi ko talaga alam ninong po ako sa kasal. Nabasa ko na lang po kahapon sa media reports na kasama pala ako doon sa invited [na mag-ninong] (I did not know that I will be a principal sponsor to that wedding. I only read about it in the media reports),” he said. “Nandoon kami ni Pangulong Duterte sa Cebu para sa League of Municipalities of the Philippines sa Visayas Chapter (We were with the President in Cebu for the League of Municipalities of the Philippines Visayas Chapter)," he added, saying that he was busy fulfilling his duties as SAP.